The self-sustainable development of African countries by making use of funds and high-level technology from Japan should be facilitated. This kind of reciprocal relationship should be steadily expanded. A ministerial-level meeting of the Tokyo International Conference on African Development (TICAD), with participants from Japan and about 50 African countries, was held in Mozambique. Attendees confirmed a policy of reinforcing cooperation between Japan and African countries, with the aim of achieving the “economic diversification” of African countries so they do not solely depend on exports of natural resources. At the opening session of the meeting, Foreign Minister Taro Kono emphasized, “Private-sector development is the engine of self-sustaining growth in Africa, so what the public sector should do is to create an environment conducive to business investment.” He also declared Japan’s intention to conclude new bilateral investment treaties with 13 countries, including Algeria and Morocco. It is critical for African countries to not merely remain recipients of development aid, but to also become business partners for Japan. It is important to reduce the risks involved with Japanese companies’ entry into African markets, such as political instability and insufficient legal systems. A bilateral investment treaty, which will put Japanese companies on an equal footing with local firms, is essential for Japanese enterprises to actively operate their business overseas. A bilateral investment treaty between Japan and Kenya will take effect next month, following one that took effect between Japan and Mozambique in 2014. The Foreign Ministry established an office in May that is in charge of bilateral investment treaties. The conclusion of bilateral investment treaties should be accelerated. African countries are blessed with abundant natural resources. The population of Africa, which now stands at 1.2 billion, is projected to top 2 billion by 2040. Although economic growth has slowed in recent years due to a decline in the international prices of natural resources, many countries — with China at the top of the list — are competing with one another to invest in Africa, as they have high expectations for Africa’s potential as a huge market. 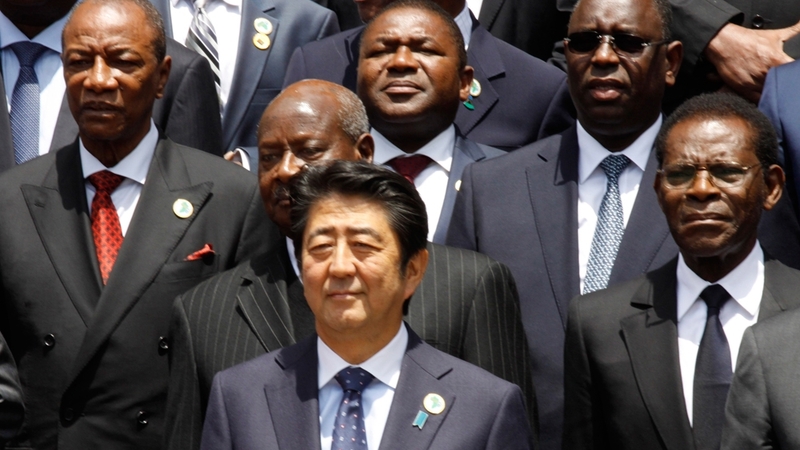 It is important for Japan’s investment to be linked to the mid- and long-term structural reform of African economies. In Mozambique, a region-wide development in the Nacala Corridor is under way with Japan’s cooperation. In tandem with the development — using Japan’s official development assistance — of a Nacala port that faces the Indian Ocean, a leading Japanese trading house has launched coal mining, railway and harbor projects. There are many landlocked countries in Africa. The development of transportation networks such as roads and railways has been slow, making it difficult to export natural resources and industrial products, thus hindering their economic growth. Completing a land transport network that links to a harbor carries great significance. Attention needs to be paid to the fact that China, backed by the sizable amount of its investment, has been reinforcing its political influence on African countries. While financing a project to build a railway linking Djibouti and Ethiopia, China has begun operating its first overseas military base in Djibouti. The Japanese government will establish a representative office at the headquarters of the African Union in Ethiopia within this fiscal year. For Japan to realize its aim of becoming a permanent member of the United Nations Security Council, it is vital to expand cooperation with African countries. Japan must build ever-closer relations with these countries, on both the political and economic fronts.